Come and meet some of the most exciting European startups here in San Francisco! Together with our friends at Startup Sauna and I/O ventures we are organizing a demo day, so please join us and experience the Northern European and Russian startup scene right in the Bay Area! 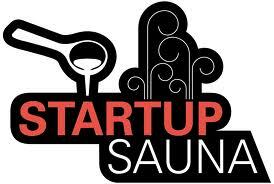 The stars of the day are Startup Sauna early-stage teams from Finland, Sweden, Russia, Lithuania, Estonia and Poland that are going to pitch and demo their products! 8:00pm -> Networking and aaaafteerrparttyy!